FTC disclaimer: I received a Gorton's Smart and Crunch review kit in exchange for a fair and honest review. All opinions are my own. Comfort foods are often foods that many times aren't too healthy for you. I am thankful to say one of my comfort foods is Gorton's fish! When I was growing up, it was a staple in our freezer, and one glance in my freezer now shows with all the yellow bags and boxes that it's a staple in my life now. I've been very busy lately with house renovations, wedding planning, growing my blog, work, plus everyday life, and I don't often have time to do more than wander to the kitchen, stick something in the oven, and wander back to my computer while it bakes. Right now I'm wanting my prep time for meals to be as quick as possible. 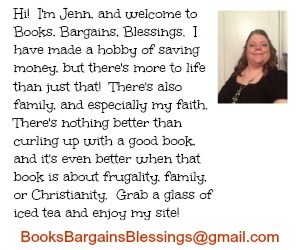 Another bonus is I can buy several packages of Gorton's products and don't have to shop for groceries as often. Tonight's Dinner -- Gorton's Smart and Crunchy with potatoes. Quick, Easy, and good for me! 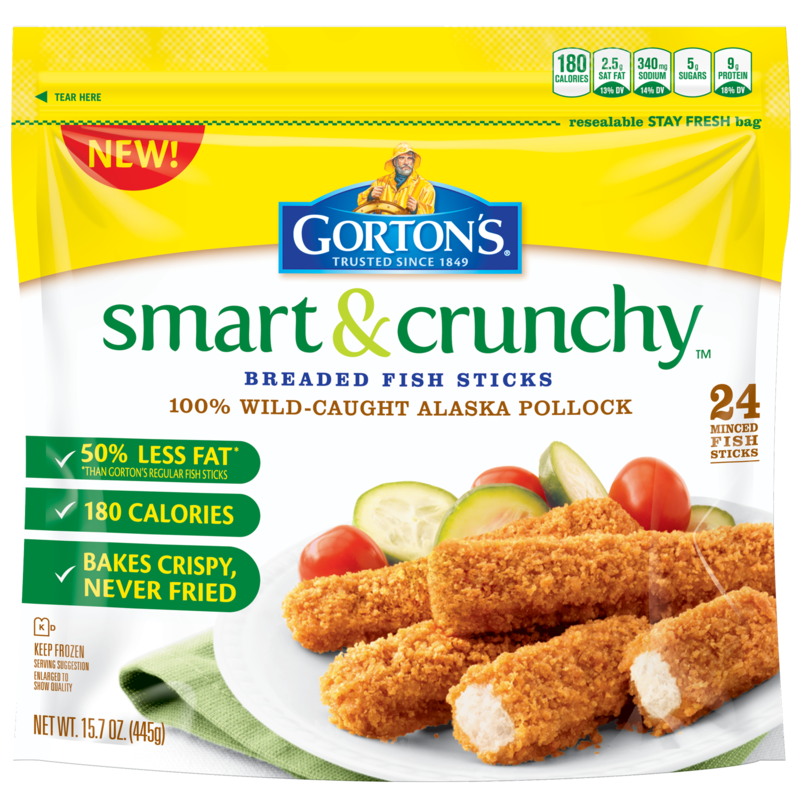 The new Gorton's Smart and Crunchy fish sticks and fillets are made with 100% wild-caught Alaska Pollock. They are also breaded in a tasty panko breadcrumb that gives them a great crunchy taste. 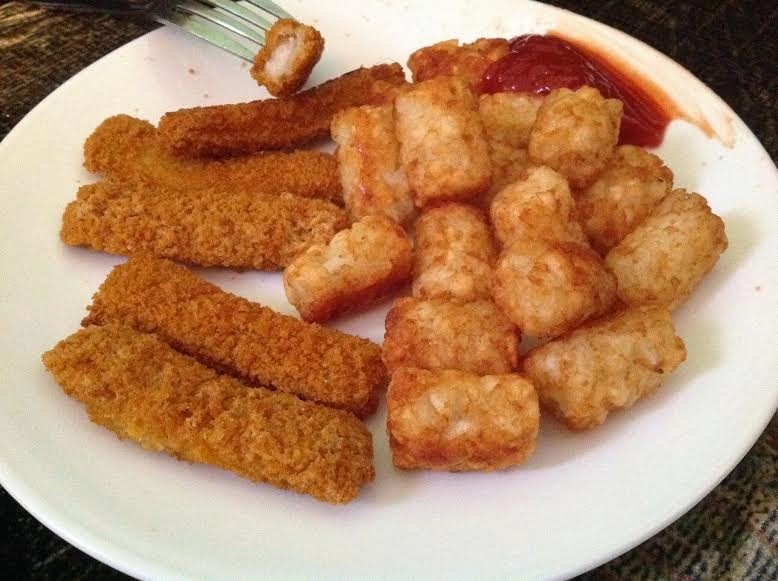 While I love some of the other Gorton's fish, I am glad that these are low in calories, easy, and tasty. Fish and seafood are natural sources of lean protein and critical nutrients like vitamins and minerals including iron, zinc, and vitamins A, B, and D. My doctor has encouraged me to eat more fish and Gorton's is always what I reach for in the frozen foods section! But Smart and Crunchy sounds healthy, does it actually taste good? YES! The night I first tried it, I was swamped with trying to get my wedding invitations addressed, and I took the bag out of the freezer and just tossed dinner in the oven. When the timer went off, I had even forgot I had thrown dinner in, I was so concentrated on wedding details. I made my way to the kitchen, and on my way there thought, "This smells really good." It looked tasty when I opened the oven, and then when I allowed it to cool slightly and took a bite, I was thinking that I would have to make Smart and Crunchy my go-to meal when I'm cooking for myself between now and the wedding. I'm normally a picky eater, and so finding a style of fish that is even healthier for me AND that I like is a win-win in my book. It's also been great to have during Lent as when I do cook for my boyfriend on Fridays, I can fix the exact same easy meal for the two of us as I have been fixing for myself when I am busy. As you all know, I love coupons. So I was happy to find a $1 off coupon at SmartAndCrunchy.com There is also information about their national tour where they are visiting spots across the country to give out samples, coupons, and even chances to win! Not only that but while on their site, you can sign up for a great sweepstakes to try and win a vacation for four. 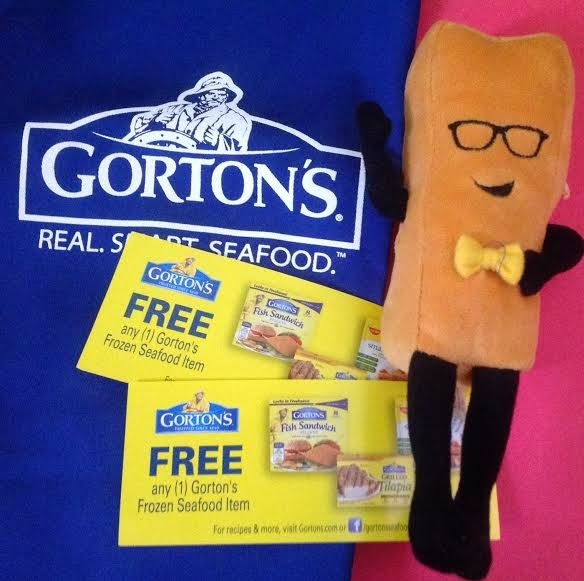 Of course, while there, you want to sign up for their newsletter and find a store near you that sells Gorton's Smart and Crunchy fish. Winner has 48 hours to respond to winning e-mail or another winner may be chosen.